Madigan Men was not Gabriel Byrne’s first foray into television. No, he started there, on the small screen in Ireland, first in The Riordans, and then in its spin-off designed to showcase this new young actor: Bracken. The role of Ben Madigan came two decades later and it is a wiser, more thoughtful, and intriguingly more vulnerable Irishman who shimmers on our television screens this time around. 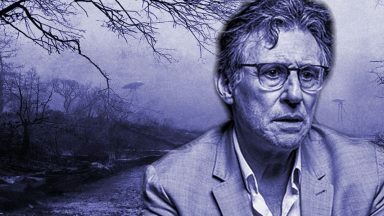 Madigan Men consists of only 12 episodes, but this television series continues to have a major impact on Gabriel Byrne fans. Comedy is not something we generally associate with our favorite actor, although he has ventured into this territory in film (Mad Dog Time) and, more darkly, the television movie Weapons of Mass Distraction. Seeing him in a lighter mood, his character not embroiled in plots involving shady dealings, firearms, doomed relationships, or danger, is refreshing. There are times when Mr. Byrne almost seems to be playing himself in this role and we, of course, love that. 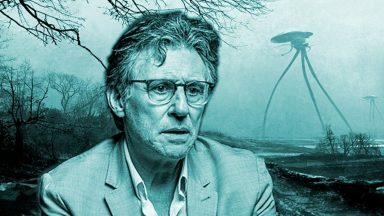 Unfortunately, not enough viewers at the time loved it as we do, and Madigan Men is now a bit of history in Gabriel Byrne’s long list of artistic achievements. The Madigan Men Mega Television Page provides a history of this short-lived but sparkling comedic gem, with promotional images, screencaps, episode videos, interviews (one extended interview will help explain why Gabriel made the move from film to TV, drama to comedy, and LA to NYC), reviews, and more. Like the show itself, it may not make you laugh out loud in an over-the-top sitcom way, but it probably will evoke a chuckle and a smile from you now and then, just as Madigan Men did. Thanks for creating the Madigan Men Mega Television Page! I also love The Madigan Men show, and I find it very entertaining and full of great comedy. It is difficault to understand why the audience did not embrace this show more than they did. It is great to see Gabriel in a role like Ben Madigan. He is perfect in the role. Hope he will have more roles like that. But the truth is probably that Gabriel is great in all kinds of roles. 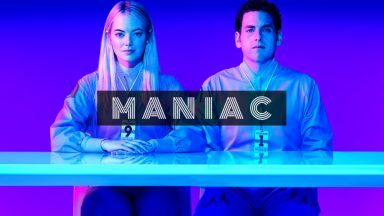 I felt this was a great show. The actors were perfectly cast, the comedic timing was spot-on and the stories were interesting. 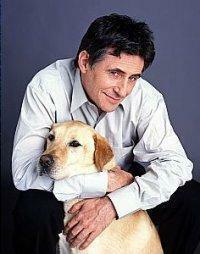 I thought Gabriel Byrne did a fine job with comedy. Too bad Hollywood isn’t paying attention, as usual. Thank you. Beautiful pictures and interesting interviews. Miss seeing him on HBO’s In Treatment.